There were 304 lots for keen bidders to choose from in our second auction of 2017. 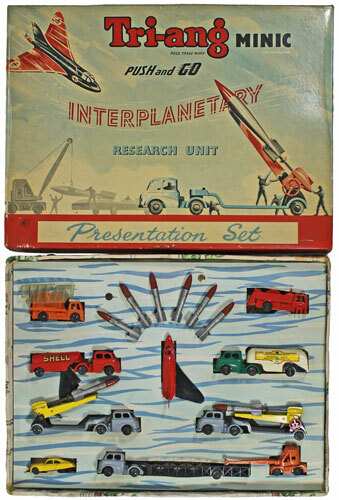 We began with the toys section which included this Tri-ang Minic Push and Go Interplanetary Research Unit which realised £480. In the tinplate section this Bing Fire Station with 2 Fire Engines sold for £480. This Wells pre-war clockwork Shell ‘BP’ Tanker achieved £492. 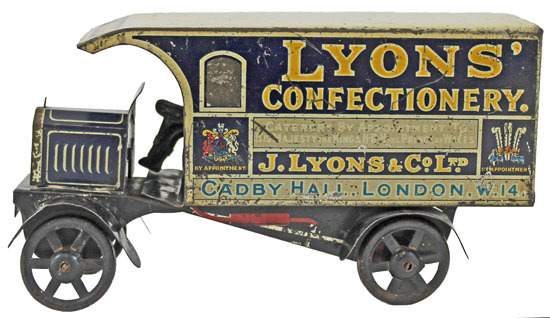 And this Wells/ Minerva (or similar) Lyons Confectionary delivery van realised £564. In the model soldiers section highlights included this Britains French Groupe De Debarquement Navel set which sold for £252. And this Britains 21st Lancers set No. 94 achieved £120. 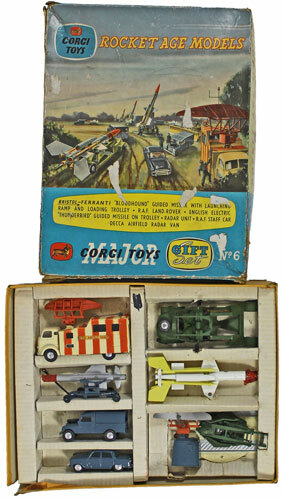 Moving on to the die cast section this Corgi Rocket Age Models gift set realised £384. 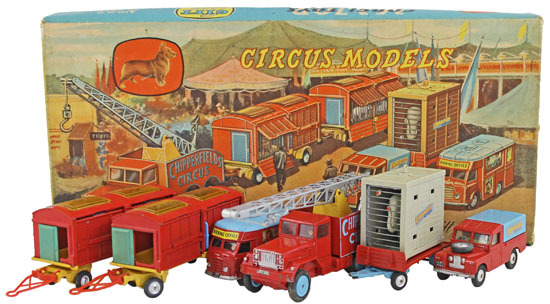 And this Chipperfields Circus gift set No. GS23 sold for £360. 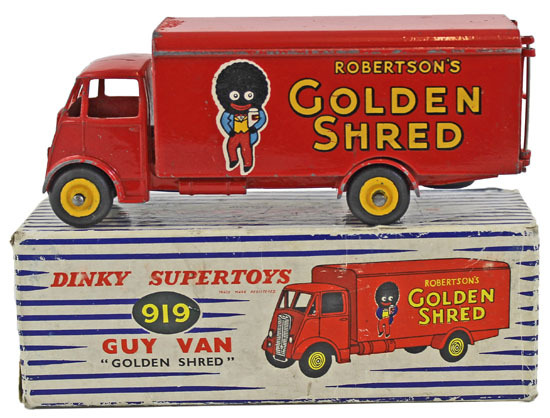 In the Dinky section this Guy ‘Robertson’s Golden Shred’ Van No. 919 achieved £192. 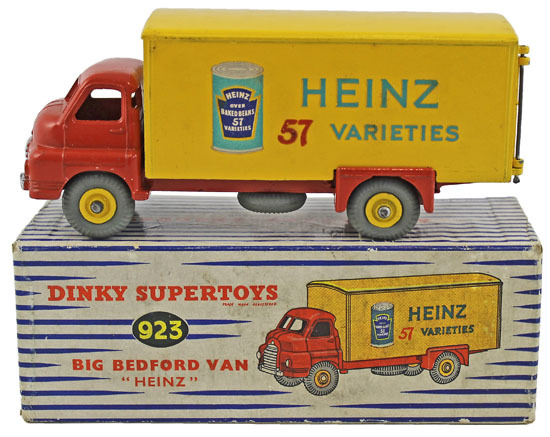 This Big Bedford ‘Heinz 57 Varieties’ Van No. 923 realised £144. 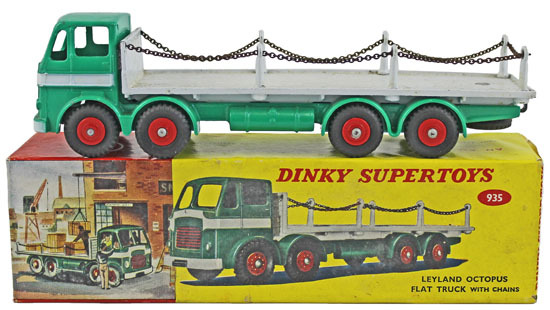 And this Leyland Octopus Flat Truck with Chains No. 935 sold for a whopping £900! Our next die cast, model soldiers and toys auction will be held on Wednesday 16th May 2017. The full catalogue for this sale will be on our website in the next few weeks or keep an eye on our Twitter and Facebook pages which will include updates of our latest auction news.